Recurring-revenue business models, also known as subscription or usage-based models, are creating new opportunities across all industries—even in sectors where they haven’t traditionally appeared before. Advances in social media, mobile devices, cloud computing, artificial intelligence, robotics, and the Internet of Things (IoT) are now enabling businesses to leverage these new models to generate entirely new revenue streams. 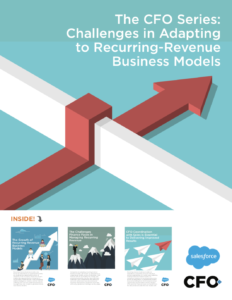 Download this research report on the growth of recurring revenue business models.